Bitcoin is a cryptocurrency and a payment system invented by an unidentified programmer, or group of programmers, under the name of Satoshi Nakamoto. Bitcoin was introduced on 31 October 2008 to a cryptography mailing list, and released as open-source software in 2009 (source: Wikipedia). You cannot pay with Bitcoin if it is not offered. If you would like to pay with Bitcoin on an internet site or webshop, you can not pay with Bitcoin if it is not offered. This seems obvious and it is. So if you would like to pay with Bitcoin it is a condition that the webshop offers this payment method. But how to find webshops that offer Bitcoin as payment method? Cisco is one of the best known IT companies and the worldwide leader in networking equipment. Just before the dot-com bubble burst in 2000, Cisco’s market capitalization was more than 500 billion US dollars making Cisco the most valuable company in the world. What explains such a performance? How Cisco proceeded to remain a major IT player after 30 years of existence? Cisco was founded in September 1984 by Leaonard Bosack and its wife Sandy Lerner that were both employees at the Stanford University Computer Department. Based on Standford’s router and software, they built a replicated router able to support multiple protocols and to connect different computers and networks. Despite controversy, Cisco became the first company in the globe to sell such a multi-protocol router. Since its creation, Cisco knew how to identify the needs of the IT market and how to provide best hardware and software solutions to meet those needs. After going public in 1990, Cisco had the necessary resources to develop its activities. First, Cisco targeted the enterprise environment with its multi-protocol routers. Then, it quickly joined the emerging service provider market providing more powerful routers. Still adapting to the market, Cisco caught both of the Ethernet and the Internet waves with new product lines including modems and routers dedicated to internet service providers, granting to Cisco the monopoly in this crucial segment. Cisco strategy was then to target both the retail segment (with The Human Network marketing campaign) and the hardware segments as well as to expand overseas, especially in emerging markets like India. According to Chairman and former CEO of Cisco, John Chambers, the reason why the company has outlasted to its very competing market is that it has applied a market-driven and sustainable strategy. 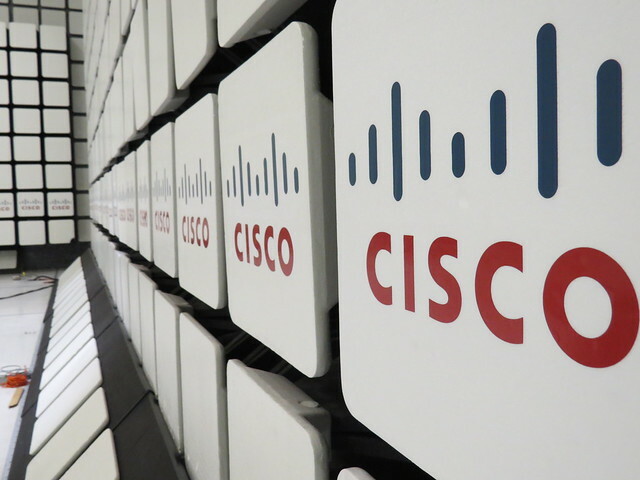 After several restructurings and acquisitions, Cisco is still one of the biggest players of the IT universe and its networking equipment (switches, routers, VOIP phones, etc.) is among the most renowned of the market. Computer network installation is a very important but costly step in the life of a company especially when aiming for new and quality equipment. This issue is especially topical as the installed equipment can quickly become obsolete and thus need a fairly rapid renovation. Nevertheless, there is a real solution that can save you about 90% of the cost of your computer network installation and/or renovation, the use of second-hand networking equipment. Is used networking equipment a serious alternative? If the potential savings that can be made are real (up to 90% or even more), is it really worth it to use second-hand networking equipment? The answer is clearly affirmative. The arguments are numerous. To start, there is the cost gain of course, but we can also mention the reliability of the second-hand equipment (often tested and certified as new), the advice and expertise of true professionals, the ability to order online with fast delivery delays and, the icing on the cake, the warranty granted (for life for some vendors). Moreover, current vendors offer a wide choice of products knowing that even the biggest brands (e.g. Cisco) are available in fairly big quantities. How to choose a good supplier of used networking hardware? The choice of the supplier of second-hand networking equipments is crucial, especially when if one wants good quality and branded equipment (e.g. Cisco). For example, we can mention Aliter Networks as being one of the best worldwide sellers of used equipment for computer networks, especially for Cisco networking hardware. On its website, Aliter Networks offers quality Cisco branded equipment, having successfully passed a 26-point inspection process, such as Switches, Routers, VoIP equipment, computer security (such as Firewall) as well as Wireless networking hardware, etc. Aliter Networks also offers rapid worldwide delivery for its second-hand reconditioned networking hardware tested by a professional team. The products line is quite complete and is already available in big quantities. In addition, Aliter networks customers can benefit from a free support of Cisco Certified experts as well as a lifetime warranty on all the purchased products. Announced at its “Windows 10” event on October 6, 2015, Microsoft has launched its first hybrid laptop, the Surface Book. This PC is optimized to run Windows 10 and has a very similar look to a tablet, even more with its 13.5-inch touch screen. As a hybrid laptop, the Surface Book is also equipped with a backlit keyboard that can be removed in order to use it as a simple tablet with OneNote and the Surface Pen, the Microsoft stylus. Is the Microsoft Surface Book a threat for the Apple MacBook Pro? In recent years, Apple launched an advertising spot called “Switch” as a part of a whole campaign targeting Microsoft users and convincing them of how easy it is to switch from Microsoft OS (Windows) to Mac OS. One can say that the counter-attack of Microsoft has now begun with its Surface Book directly threatening Apple Macbook Pro. At its conference, Microsoft compared the Surface Book to Apple MacBook Pro arguing that its newborn is twice as powerful as the one from its competitor. With its 13.5-inch screen, the Surface Book has a resolution of 267 pixels per inch (ppi) and a screen definition of 3000*2000 pixels, or about as much as the MacBook Pro Retina screen. According to Microsoft, its new hybrid laptop is optimized to be used with the Surface Pen and the touchscreen graphical tools from Adobe (Photoshop, etc.). In addition, the device must not be seen as a tablet equipped with a keyboard but rather as a PC with a detachable screen. 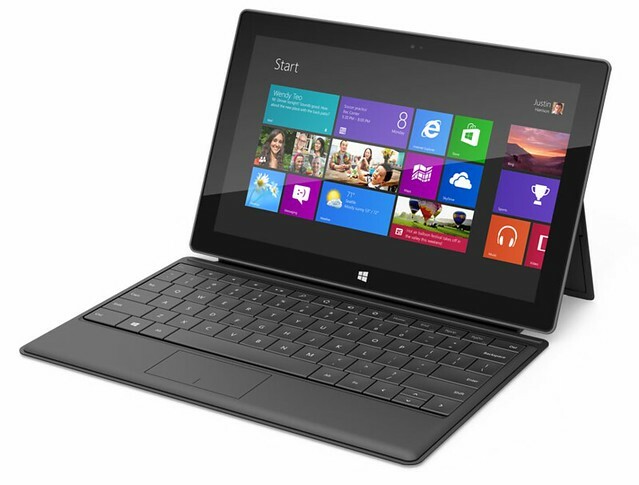 It weighs about 25.4 ounces without its keyboard and 55.3 ounces with it. Also, the Surface Book has 12 hours of battery life when the keyboard is connected. The Surface Book is now available with a pre-order period in the US and will be available from the first quarter of 2016 in France. Prices vary depending on the chosen configuration. Indeed, for a base configuration with a Core i5 processor and 8GB of RAM, the price is $ 1499. Any a full option version with a Core i7 processor, GPU, 16GB of RAM and 1TB of SSD storage, the price is $ 2699. Since its release, Microsoft Surface Book has generated so much interest in the United States that it went out of stock on Microsoft stores but still available in preorder from Amazon. Apple may be worried for its MacBook Pro sales since Microsoft just launched an online guide for users that want to migrate from Apple devices to the Surface Book. 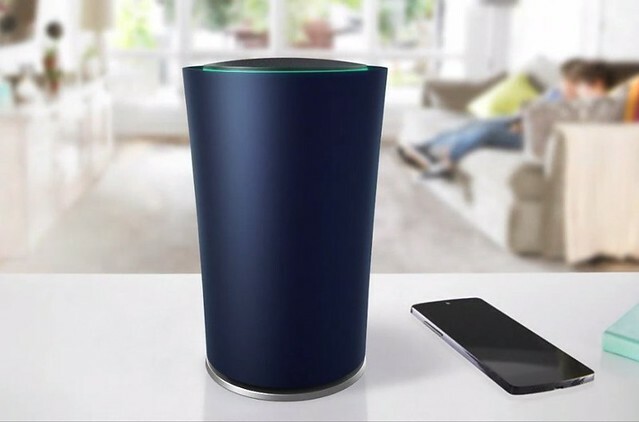 OnHub is the name of the new Google WiFi router that was developed to facilitate and optimize the use of the home WiFi network. This newborn from Google belongs to the all-in-one category of modern routers, meaning one device integrating a basic switch, a modem, a wireless access point and other useful networking components. From a design point of view, this new Google Wifi router has a cylindrical shape, mixing design and simplicity, with a height of 7.48 inches and a row of six colored LEDs. The Google OnHub has 13 antennas (six antennas of 2.4GHz, six antennas of 5GHz and a last one for congestion detection). It is also equipped with a 3W speaker, a USB 3.0 port, 1GB of RAM and 4GB flash memory built by the Chinese TP-Link. OnHub is compatible with the Bluetooth 4.0 “Smart Ready” technology which enables remote control of multiple smart devices and home automation. One of the main interesting features of the Google OnHub is its ability to connect all smart devices (smartphone, tablet) and all connected devices in a house (lamp, TV, etc.). The use of this function is very simple on the OnHub via a smartphone application (Android or iOS). It also allows visitors of a house to connect in limited mode without using a password. This mobile application is to be used, not only to setup and configure the OnHub router, but also to monitor network status and other indicators (e.g. bandwidth used for each connected device, etc.). With its ultra-fast connection, OnHub allows to set priorities between several connected devices if needed to optimize the WiFi signal distribution. Google new router provides a reliable and secure access throughout the house which can be even more enhanced by adding a firewall (hardware or software), especially if one wants to use OnHub in a professional environment. For now, Google OnHub is only available on the Internet at a price of $ 199 where the prices of similar routers are ranging from $100 and $200. It should also be available soon in ordinary high tech shops in the United States and Canada. Announced during its keynote of September 9, 2015, and released in September 25, 2015, the two new iPhones from Apple, the iPhone 6S and the iPhone 6S Plus, have many novelties to the delight of fans. The biggest innovation of the iPhone 6S is the new “3D Touch” screen which makes the phone react differently according to the level of pressure on the screen (up to 3 levels). This technology was first introduced by Apple in other devices like the Apple Watch or the trackpad of the last MacBook that has more pressure levels. The second big innovation is the improvement made to the iPhone 6S rear camera with a sensor capacity increased from 8 to 12 mpx leading to a better quality photos than the former iPhone 6 generation. Another novelty of the iPhone 6S is the “Live Photo” function allowing to take photos just before and after pressing the shutter button and, thus, making your photos look animated like a high quality GIF. This function can be activated by clicking on the screen strongly, new feature permitted by the 3D Touch. New iPhone 6S front camera (finally) evolved with a sensor capacity moving from 1.2 to 5 mpx which allows to take better quality selfies even in dark spaces thanks to the “True Tone” new front flash. The iPhone 6S and the iPhone 6S are equipped with the Apple A9 chip with an M9 co-processor. It is 70% faster than the A8 equipping the former iPhone 6 and even 90% faster for graphics performance. The design of the iPhone 6S is very similar to its predecessor except for the apparition of a new colour, called the“Rose Gold”, expanding the possible choices of colours from 3 to 4. This new colour is very nice looking and will probably appeal to female users. The dimensions of the new generation of iPhones remained the same as those of the iPhone 6 with a 4.7 inch screen and a resolution of 1334*750 pixels for the iPhone 6S and a 5.5 inches screen and a resolution of 1920*1080 pixels for the iPhone 6S Plus. Both the two new smartphones are slightly heavier than their predecessors with a weight of 5.04 ounces for the iPhone 6S (+0.9 ounces) and 6.77 ounces for the iPhone 6S Plus (+0.7 ounces). This overweight is mainly due to the addition of a new pressure-sensitive layer to the “3D Touch” screen. To conclude, it seems obvious that Apple has brought many innovations to its new generation smartphones. Nevertheless, the new iPhone 6S and 6S+ still have some weaknesses, such as their limited battery life and their camera that, even though enhanced, remained below its competitors (like the Galaxy 6S from Samsung). What do we really know about 5G? As presented in our last article, telecom networks never stopped evolving over the last few years and so are the data transfer rates. Despite 4G is quite new and currently being deployed in many countries of the world, telecom experts have already started talking about and experimenting 5G. Several information and rumors circulated here and there about 5G, but what do we really know nowadays about the 5G? When will it be available? Will it really be gainful for users? As for its predecessors, 5G stands for the 5th generation of telecom mobile networks. The development of 5G standards is still in its infancy and, knowing that standards achievement of the last 4G network has taken about 10 years, telecom experts are expecting the first 5G networks to start being deployed from 2020 onwards. Several organizations are racing to develop the 5G standard like the 5GPPP, ITU and NGMN but ITU is probably playing the most important role by having established the timeline, known as IMT-2020, for the development of the 5G standardization. This planning is expected to start on 2016 and to having the standard agreement completed by 2020. Seemingly, the other two organizations involved (5GPPP and NGMN) chose to stick to the ITU schedule. According to telecom experts, 5G technology should allow a data transfer rate of several gigabits per second, 100 times faster than 4G. These are theoretical rates which can greatly vary depending on several factors such as the distance to a telecommunications terminal or if one person is in motion or not. The 5th generation of mobile networks must deal with several problems such as obtaining permissions to use specific radio wave ranges, covering a large territory and renewing the existing telecom facilities (already deployed for 2G, 3G and 4G) which can be expensive and discouraging for telecom operators. Moreover, 5G will have to face many challenges as the generalization of internet use to connected objects leading to the notion of Internet of Things (IoT) and, more recently, the Internet of Everything (IoE) notion promoted by a report of Cisco, one of the world leaders in network infrastructure, that includes not only IoT, but also data, processes… and people themselves (via their smartphones and their social networks). Over the last decades, telecom technologies have evolved in such a quick way that it becomes really hard for common people to understand the meanings behind current nomenclatures like 2G, 3G and 4G. What do all these terminologies stand for? What are the main differences between telecom generations? Commercially launched in 1991, 2G network refers to the 2nd generation of telecom networks based on the GSM (Global System for Mobile Communications) standard. It is the first network to use digital signals (compared to the analog signals used by 1G) allowing voice calls and a transfer speed up to only some kbps. In the early 2000s, 2G evolved into 2,5G (called so because it is halfway between 2G and 3G) and is also known as GPRS (General Packet Radio Service). With a data transmission rate up to 54kbps, the 2,5G network is faster than the former 2G and enables more data services such as text messages (SMS), picture messages and MMS (Multi Media Message). As the last evolution of the 2G technology, the 2,75G network is also referred to as EDGE (Enhanced Data Rates for GSM Evolution) and was first deployed in 2003 in the United States by AT&T. EDGE network improved data transfer speed with a theoretical speed up to 384 kbps. The 3rd generation of telecom standards, known as UMTS (Universal Mobile Telecommunications System), naturally led to the 3G network denomination. With this new technology, data transmission speed increased to reach almost 1.9mbps, nearly 5 times faster than the former generation. 3G technology brought on a revolution in the cellular phone sector with the creation of “smartphones”. It went even further inspiring the name of one of the most famous cellular phones by that time: iPhone 3G from Apple. In a way, this smartphone also contributed to the success of the 3G network. Called HSDPA, the 3G+ network is the first evolution of 3G with a transfer rate increasing to 14,4mbps which is 7 times faster than the initial 3G and becomes very competitive even compared to the classical wired connections like DSL. The second evolution of 3G is the H+ network also referred to by a lot of people as Dual Carrier or HSPA+. Again, the speed of transfer increased reaching 42 mbps which is close to 4G transfer rates. This 4th generation of telecom networks allows a transfer rate that ranges from 100mbps to 1gbps, thus clearly offering an ultra broadband. Also known as LTE (Long Term Evolution), the 4G network is the most up to date technology being currently used in the telecom sector and its development will be a big challenge over the next 10 years for telecom carriers, until the probable emergence of the 5G planned as of 2020. Copyright © 2019 JMA Wired. Powered by WordPress. Theme: Accelerate by ThemeGrill.